In 2011, Cuddalore had population of 2,605,914 of which male and female were 1,311,697 and 1,294,217 respectively. In 2001 census, Cuddalore had a population of 2,285,395 of which males were 1,150,908 and remaining 1,134,487 were females. 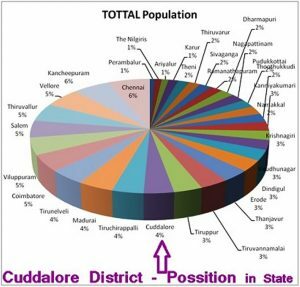 Cuddalore District population constituted 3.61 percent of total Tamilnadu population. 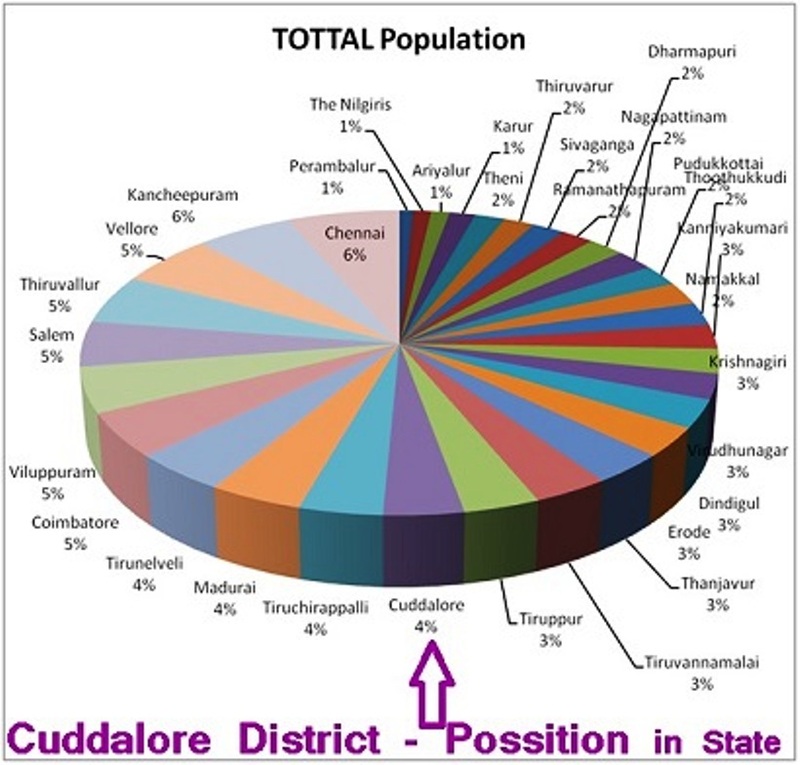 In 2001 census, this figure for Cuddalore District was at 3.66 percent of Tamilnadu population.